I just opened a bag of Chocolatey Caramel Crunch Boy Scouts popcorn. I buy it from a co-worker to give to my dad every year, but in a moment of weakness … I tore into it. Don’t let these smiling boys fool you. It looks innocent. 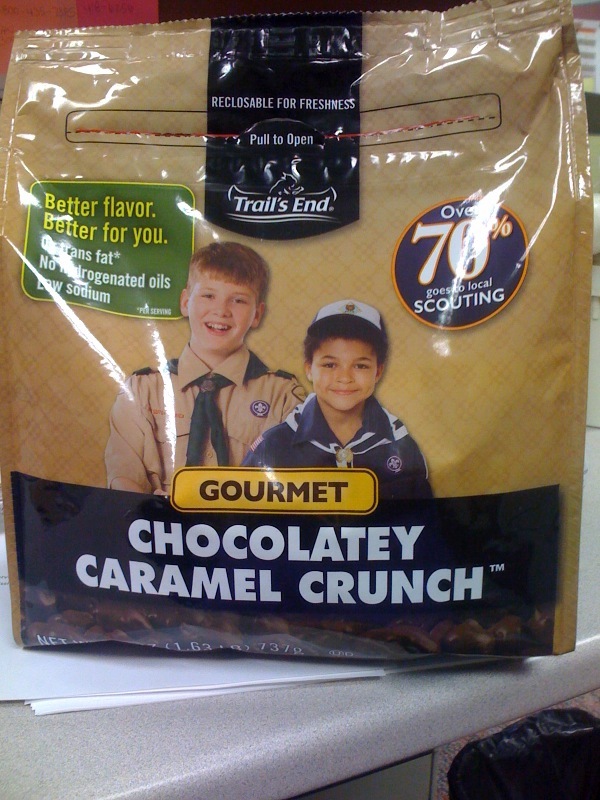 In fact, the back of the bag says 100 years of scouting. This bag contains 3,000 calories worth of chocolate caramel goodness. WILL SOMEONE PLEASE STOP ME? !